Tenda P1002P AV1000 Gigabit Powerline Adapter with AC PassThrough, deal Powerline Adapter,For Home Entertainment Sharing & Freewheeling Internet Access,Two gigabit wired ports can 10 times speed LAN data transmission to share network with other devices.The AC pass-through design provides the max load of up to 3600W to ensure safty，and the embedded noise filter also enables the Tenda P1002P to suppress noise from all connected electronic equipment to enhance network quality for multimedia streaming. Adopts latest Broadcom chip to provide powerline transmission rates up to 1000Mbps, making it a great choice to easily build a multimedia entertainment network. Two gigabit wired ports can provide 10 times faster LAN data transmission speed for sharing a network with other devices. The AC pass-through design provides the max load of up to 3600W to ensure safety, and the embedded noise filter also enables the Tenda P1002P to suppress noise from all connected electronic equipment to enhance network quality for multimedia streaming. 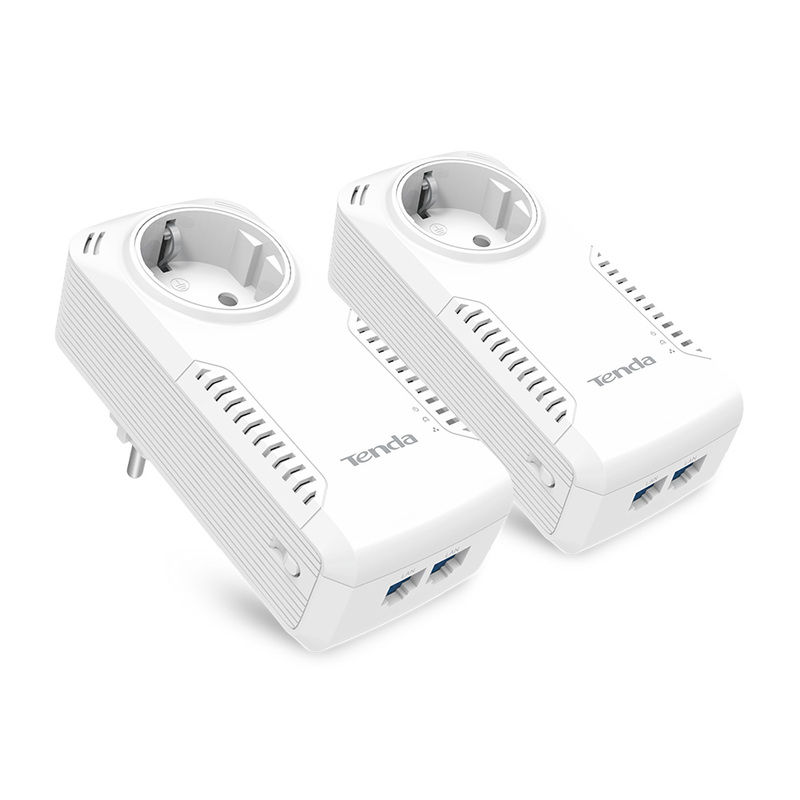 With advanced HomePlug AV2 technology, backwards compatibility with Home Plug AV and IEEE 1901-based products, the P1002P can compatible with powerline adapters of other brands with different rates. Power rate reduces to 0.5W in stand-by mode for greenlumi.